and venture out on another cycle ride exploring the byways and disused railways of Norfolk getting some of that all important exercise. 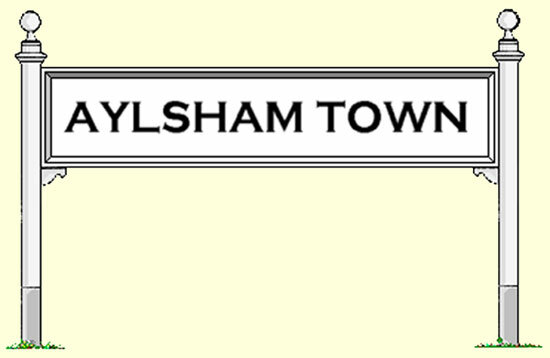 This time we were hopping to find the site of the old Aylsham North, M&GN station. First a brief look at the history of the line. I suppose we must consider ourselves fortunate that a small part of that system survives today from Cromer Beach to Sheringham under the control of Railtrack. and The North Norfolk Railway who operates the preserved section from Sheringham to a new station at Holt, keeping the memories alive for those who remember the M&GN. Despite the number of companies associated with this line throughout its history it will always be known locally with affection as 'the M&GN'. sometimes unkindly as " the muddle and go nowhere". With our back pack filled with the usual essentials we set off at 10.20 am from Reepham station where we had parked the car, Our plan was to try and trace the old M&GN track bed and follow it into Aylsham where we hopped to find some remains of the station and any other traces of the railway's existence on the way, then return to Reepham via Cawston on the 'Marriott's Way'. 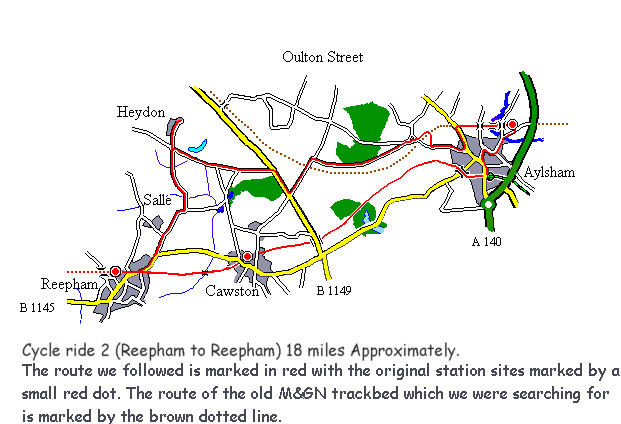 the once Great Eastern route from Wroxham to County School. The first section from Reepham on the B 1145 as expected was busy with traffic made worse by road works but soon improved as we turned left and cycled past Salle church and through to Heydon, (probably the prettiest part of the ride). We arrived at Heydon where we spent ten minutes or so on a seat by the village green, Benjamin hadn't been here before and remarked how idyllic it was, he took a photograph before we continued our journey (unfortunately it didn't capture the scene as well as expected so its not included in this article). We found our way onto the B1145 and traveled for a short distance toward Norwich before turning left into a byroad sign posted Oulton Street. after a few hundred yards we came across a gate keepers cottage where the M&GN line once crossed the road, we stopped at this point and referred to the O/S map to try and establish roughly the route e line took from here, we decided to turn right and follow the road to Aylsham, it appears that the line once followed this road for some distance but it wasn't easy to define its route, after all, almost forty years have passed since its closure and in common with a great deal of redundant track bed throughout the country its been reclaimed by the local farmers for cropping. We eventually came to an area called Able Heath (NT). 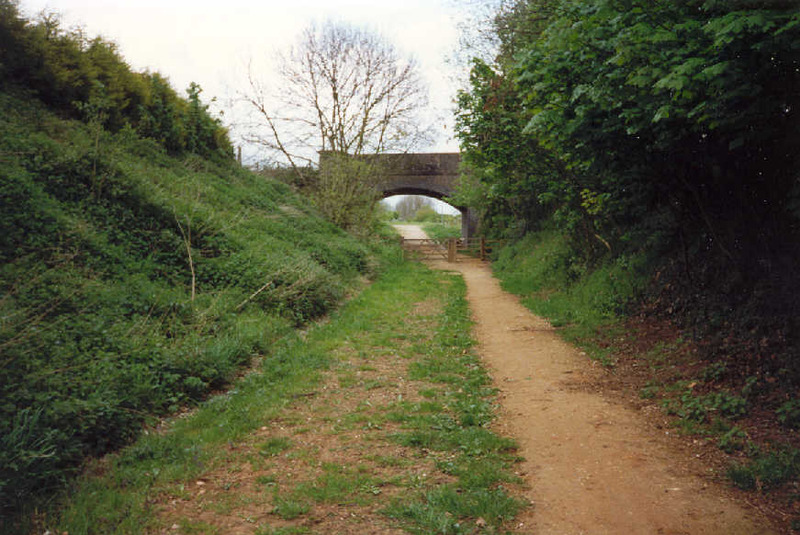 At this point a deep cutting was visible running towards Aylsham, the road formed a Z bend here and judging by the depth of the cutting there must have been a bridge at this point to carry the road over the railway. 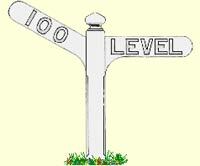 A council notice was posted here proposing changes to the Public Foot Path system in this area. We decided to try and cycle through the cutting but had to abort after a very short distance, "STINGING NETTLES" (the 8 ft variety) drove us out. After leaving the cutting we continued in the direction of Aylsham along the side of the cutting which ended abruptly at a barley field, a public footpath ran along the hedge row so we followed it back to the road and cycled toward Aylsham, we picked up the track bed again where it once crossed the B1354 between Aylsham and Blickling, the original crossing point here was beneath a brick arched bridge, still intact, but now isolated because of road realignment. From here the path was well used, obviously popular with local people, and forms part of the 56 mile Weavers' Way. We continued along the path to the west of Aylsham and towards where we expected to find the former site of the old M&GN station, we were not sure of its exact location but old photographs show a brick arched bridge at the western end of the station, carrying a road over the line, if it still remains today then that should give us a clue. After a couple of hundred yards we eventually came across an arched bridge, could this be it? we thought not, the track bed is on an embankment, it couldn't possibly be, we cycled on and after crossing a bridge over the river Bure another road bridge came into view, Yes, This looked like it. 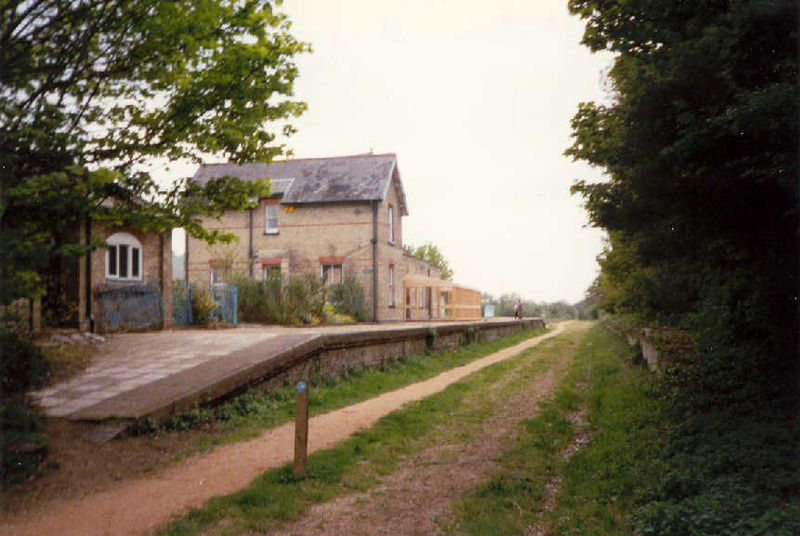 Sadly nothing remains of the station complex at all, a link road to the Aylsham bypass has been built over the track bed and sidings, not a period railway building in sight, although we did observe what might have been a small goods shed on the other side of the link road. A small parking area has been provided for people who like to park and walk the path. 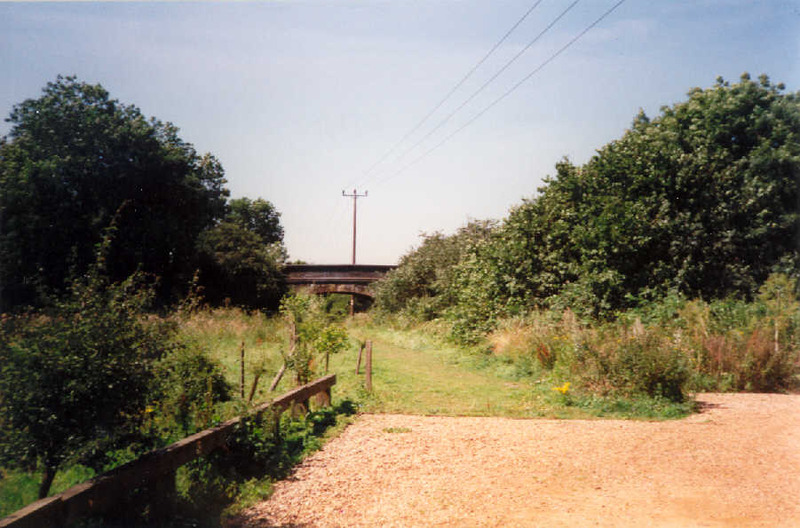 it occupies an area of land roughly where the track bed and platforms once were. looking in the direction of Melton Constable. no cycling is permitted on this path. 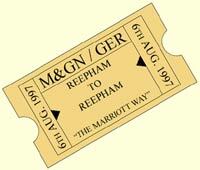 the fast stretch into Reepham station, We arrived at Reepham at 2.40 p.m.
3 hours 20 minutes after departing.